Once you are diagnosed with need for a bone marrow transplant, you will need to make adequate preparations for it. From pre-transplant tests to preparing for support after procedure, it is good to be prepared for all eventualities. Several days before the transplant, you will be subject to a series of procedures and tests to evaluate your general state of health in order to find out if you are physically fit for the procedure. This may be done before weighing cost of bone marrow transplant in India. The surgeon will also insert an intravenous catheter (thin, long tube) inside a big vein in your neck or chest. This catheter is also called as a Central Line and will remain in its position during the whole treatment. The Central Line will be used by the transplant team to infuse stem cells for transplantation, blood products and any medication into the patient’s body. In case, you are going to use your own stem cells in a procedure called as autologous transplant, you will be subject to Apheresis –collection of stem cells from your own body. Prior to apheresis, daily injections for enhancing growth will be administered to speed up production of stem cells as well as moving these into your circulatory system from where they can be collected. During this procedure, blood drawn from veins is circulated in a machine. This device separates various components of your blood like stem cells. Such stem cells are collected and stored (frozen) for future transplant. Remaining blood is returned to the body. The second scenario is Allogenic transplant where stem cells are extracted from blood of donor. Stem cells are extracted from donor through a bone marrow harvest or stem cell harvest. Depending on your case, stem cells are drawn from bone marrow or blood of the donor. The third type of transplant makes use of stem cells from the blood drawn from umbilical cord after birth. Mothers are encouraged to preserve umbilical cord after giving birth. 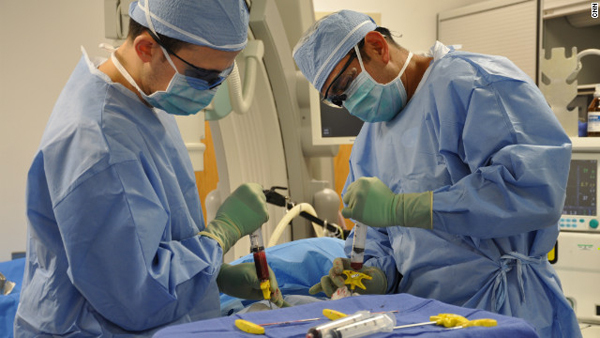 Stem cells from the cord are stored and frozen for future use in a transplant procedure. Prepare your bone marrow to accept fresh stem cells. The type of conditioning depends on factors like transplant type planned, overall health and state of your disease. You may use radiation or chemotherapy or combination of both, depending on the case. Doctor might recommend medication to combat side effects. Another important issue is to consider bone marrow transplant cost in india. You can discuss all options with your medical team.